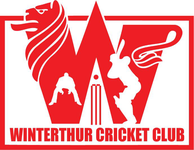 In an exciting finish, Winterthur recorded their first win in the CSPL, dismissing St Gallen for 141-10 in 34.3 overs at Deutweg, chasing down the total scoring 142-9 in 37.5 overs to win by 1 wicket. Visitors St. Gallen CC visited Deutweg, Winterthur for their first league match on a perfect day for cricket, sunny with a dry and bouncy pitch. St. Gallen skipper Nasir won the toss and without any hesitation decided to bat first. With hopes high and both the teams looking to register their first win, in came batsmen Ali and Imran for St. Gallen CC. WCC opened with Ruan who had a fiery start, 1st over four dot balls, a single and a wicket! Ruan found the break-through in his 3rd ball dismissing opener Imran and forcing St. Gallen skipper and experienced cricketer Nasir at the crease. With both the batsmen trying to take control of the situation, Ali struck a beautifully timed six over deep mid-wicket, followed by a boundary. Ruan came back and struck again in his 2nd over a nice just short of length ball, Ali trying to whack it over mid-on only to find the ball safety landing in Nathan's hands. WCC was fired up, early wickets, encouraging their team and adding more pressure on the batsmen. It was clear St. Gallen was at this point trying to build some partnership. WCC skipper Tom realising the same and expecting no big hits, attacked with more close fields. Nathan back on the attack with an in-swing tad more than it should, batsman Zeeshan making no mistake flicked it with excellent timing to the shortest boundary hoping to find that boundary. Lakmal WCC's injured fielder taking an unbelievable catch and converting that good shot into a catch ended a potential partnership. Meanwhile Sara continued the attack with excellent line and length. Turning point of the game at this stage was set batsman Nasir got run-out by a brilliant piece of fielding by the youngest member of WCC team Nic throwing that ball hard and Tom skipper/WK making no mistake going for the main batsman Nasir. WCC celebrations were in place as they knew this was a huge wicket for them. Momentum continued for WCC and picked up another wicket in Jagath's 2nd over, Prafull taking a very comfortable catch at covers. St. Gallen at this point were 41-5 in 9 overs. St. Gallen batsmen realising the situation slowly started building some partnership. Bajwa blocked one end while Waqar scoring at the other end. WCC desperately looking for a wicket and a few dropped catches added more pressure on WCC. Rod finally ended that misery for WCC, an edge off the bat a low catch behind the stiumps, Tom diving to the left making no mistake taking a clean catch to end that long partnership of 61 runs. Eventually, St. Gallen CC were 141 all out. After a nicely prepared curry and rice from St. Gallen CC the second innings started with Nic and Jagath opening for WCC. Nasir and Musa opening bowling and boy was that quick, testing the technique of the WCC batsmen. With Nic and Jagath both holding the wicket and taking singles it gave WCC a solid start leaving St. Gallen a bit under pressure. Eventually, Naseem struck in his first over by getting Nic caught behind. Prafull and Jagath carried on when Naseem struck again and bowled Jagath with a very quick ball. Excellent bowling from St. Gallen CC, quick and nice line and length. Prafull played a mature and sensible innings, continuing to take singles and doubles and kept the scoreboard ticking. The middle order didn't contribute much and WCC were to find themselves at 75-6. In came young lad Ruan who played beautifully and accelerated the scores. Along with Prafull, they both put up a quick 22 run partnership. St. Gallen were in full control at this point as they knew that it was a matter of 1 or 2 wickets and the game is over. Prafull played sensibly and hung on to his technique. Rod support beautifully and kept the scoreboard ticking. Turning point of the game for St. Gallen, a brilliant full length dive to hang on to a well timed shot from Prafull. Nasir the danger bowler who bowled well. St. Gallen celebrations were in place. WCC were at 113 for 9 and needed 29 more runs with more than 10 overs left. Lakaml who pulled a hamstring during the match limped in to the crease. He played beautifully, but because of the hamstring he couldn't run quick singles. Realising that they are valuable he figured out a way to move side ways to take singles. Both Rod and Lakamal played mature and sensible cricket under pressure and eventually took the team home! 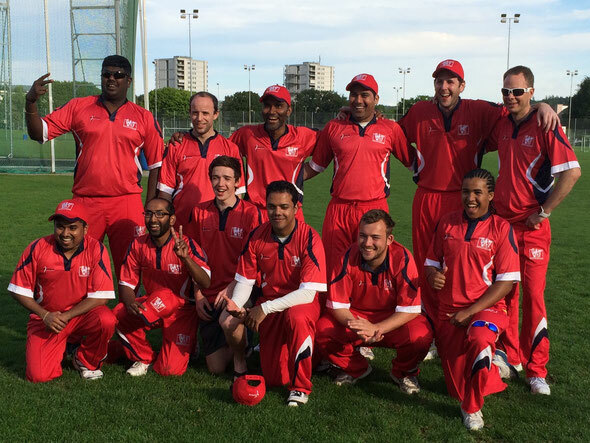 With the first match out of the way St. Gallen will looking forward to their next CSPL vs Power, while WCC fully charged & full of confidence will look to welcoming Berne CC on Sunday 29th of May to Deutweg. Photos from the match WCC v St Gallen are available in the website gallery and you can view the 2016 CSPL League Eastern Division table.